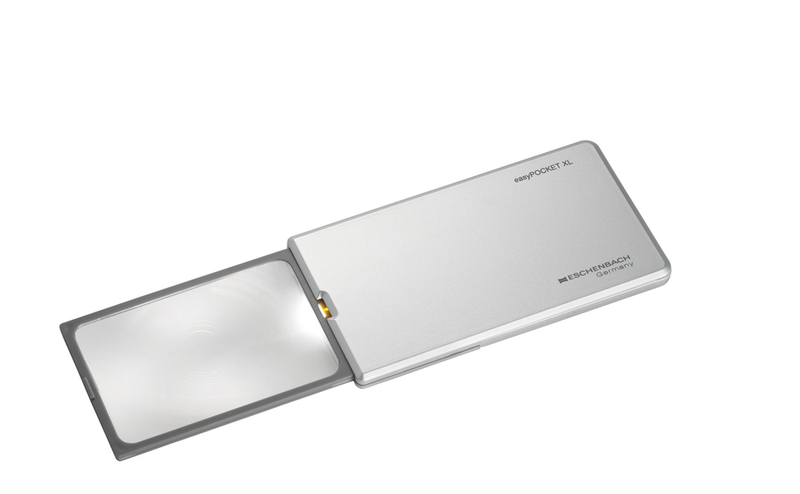 Enlargement and light in a compact format. Brilliant depiction with integrated illumination when pulling out the lens. Magnifier can also be used as a stand with the integrated strap. Very economical: light only comes on when the lens is fully extended. has a virtually unlimited lifespan.